A unique product, the Ansell HyFlex 11-435 Water-Based Cut-Resistant Work Gloves, are the first water-based polyurethane gloves to offer level 5 cut protection. 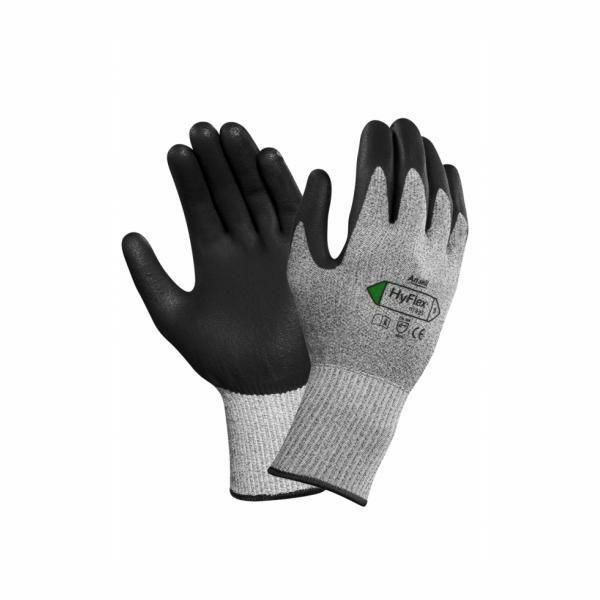 They are designed for dexterity and protection and offer a breathable design that cools hands during use. Their seamless, comfortable and lightweight design make them an essential item in any industry where top cut protection is necessary. The Ansell HyFlex Cut-Resistant Work Gloves are available in six sizes that should suit the hands of most users. Please measure the circumference of your hand around the knuckles (excluding the thumb) with your hand open and your fingers together, and the length of your hand from the tip of your middle finger to your wrist.